These creamy but crunchy stuffed mushrooms and their cooling cucumber dip make a fabulous starter. Serve them with some bread and they'll do for a main course too. This recipe was given to me by my good friend Martina, one of the best home cooks I know! Preheat the oven to 190°C / 375°F Gas Mark 5. Remove the mushroom stems and finely chop together with 3 of the mushroom caps. Heat 2 tablespoons of the oil in a frying pan, then add the onion, garlic and chopped mushrooms and cook for 5-6 minutes, until soft. Transfer to a bowl, then stir in the breadcrumbs, walnuts, 1 ½ tablespoons each of the parsley and chives, the lemon rind and Stilton. Season well. 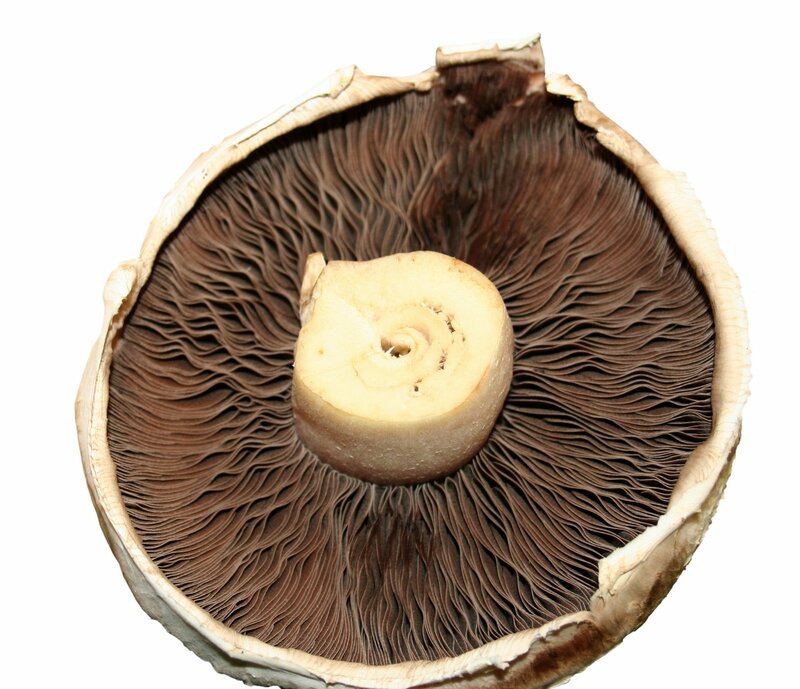 Place the 12 whole mushroom caps in a large ovenproof dish or roasting tin and divide the stuffing between them. Scatter with Parmesan, drizzle with the remaining oil. Bake for 30-35 minutes, basting once, until the mushrooms are tender and the tops have browned. Stir the remaining herbs and the cucumber into the crème fraiche and serve with the stuffed mushrooms.